Our standard logs are cut to around 9″ (25cm) long and are split. They are all clean and free from sawdust. We can cut to any size up to 50cm by special order. We deliver to mainland Britain – just select your postcode where you want the delivery. Yes, the price you are quoted is the delivery price and includes VAT at 5%. 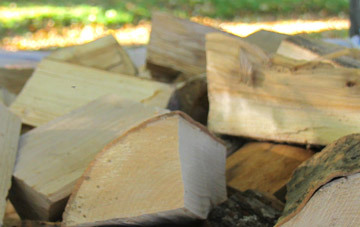 We use a nationwide courier service, and the logs are delivered on a recycled burnable pallet. For some local deliveries we use our smaller vehicles. The courier’s vehicle must be able to park. Delivery vehicles use tail-lift offloading. A pallet truck is used to manoeuvre the products off the vehicle to the kerb site delivery point. The courier cannot travel across gravel or grass. No, you do not have to be in, and the delivery driver will usually phone before the delivery and arrange a place where the product can be left..
Our couriers do not deliver on Saturdays. Locally our vehicles can deliver weekends or evenings by special request. The bag is yours to keep or recycle. Local customers usually retain the bag and it is collected once empty when we redeliver. We accept all major credit and debit cards through the Royal Bank of Scotland WorldPay service. The confirmation email is your receipt and invoice. Wood was the traditional fuel in the UK until the industrial revolution. It has been replaced by coal, oil and gas over the last two hundred years. Our increasing awareness of the environmental damage caused by fossil fuels has led to growing interest in using wood as a sustainable, renewable, low carbon alternative. Wood is a major source of renewable heat energy and, burned efficiently, it produces virtually no smoke. As trees grow they absorb carbon dioxide (CO2), incorporating the carbon into new growth and returning oxygen to the atmosphere. When the wood is burned this carbon is oxidised and released as CO2. As a result, using wood from sustainably managed trees reduces net CO2 production (small amounts are released by the activities of processing and transportation) compared to using fossil fuels. This means that heating using wood can significantly reduce our reliance on fossil fuels while also reducing our CO2 emissions. The woodland area in Britain is limited, but with effective management, a substantial quantity of wood is available from forestry which is not suitable for construction and other uses. Managing woodland improves biodiversity and increasing the proportion of managed woodland supports jobs in the forestry industry. Why is burning wood 'environmentally friendly'? Burning wood is carbon-neutral. When trees grow, they absorb carbon dioxide and generate oxygen that is essential for our planet’s survival. When wood is burned or left to decay on the forest floor it will release the same amount of carbon dioxide into the atmosphere. Wood is therefore an environmentally friendly fuel being a renewable energy source. Why can't you burn damp wood? Damp wood is difficult and inefficient to burn. In its natural state, wood contains from 65 to 95 per cent of water. 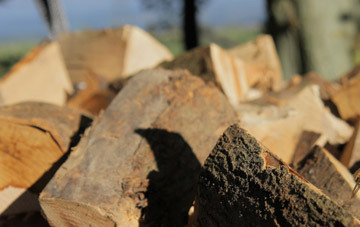 Dry – or ‘seasoned’ – wood gives a much higher energy output, which is why at Lakeland Logs we cut the wood as soon as possible and store it in ventilated conditions until dry. The Moisture Content of wood has the greatest effect on net Calorific Value (CV). Any water in the timber has to evaporate before the wood will burn, and this will reduce the net energy released as useful heat (as opposed to steam up the chimney). Logs that aren’t dry will result in a fire that smoulders and creates lots of tars and smoke. These tars can be corrosive, potentially damaging the lining of the flue and increasing the danger of a chimney fire. Wet logs will tend to blacken glass in stoves even if the stove is designed to keep the glass clean. Well seasoned logs can have approximately twice the CV of green logs. Always burn dried (seasoned) wood. Radial cracks and bark that comes off easily are signs of well-seasoned wood. Moisture content has an important effect on how well logs burn. The Wood Density. When buying logs, it is common for the seller to let you know whether they are from hardwood or softwood tree species (or mixed). The general difference is that hardwoods (deciduous, broadleaved tree species) tend to be denser than softwoods (evergreen, coniferous species). This means that a tonne of hardwood logs will occupy a smaller space than a tonne of softwood logs. Dense woods will burn for longer than less dense woods, this means you will need fewer ‘top ups’ to keep a log stove burning. If you buy wood by volume you will receive more kilowatt hours (kWh) of heat from a cubic metre (m3) of hardwood than softwood (at the same moisture content). Softwoods are easier to light and often cheaper to buy however.